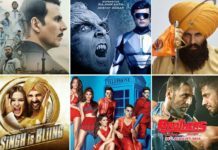 Bollywood Box Office Report 2017: Budget, Box Office Collection and Verdict of the Bollywood movies released in 2017. 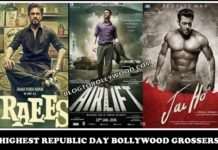 Blog to Bollywood presents Bollywood Box office collection report 2017. This report includes the domestic Box office collection, budget, and verdict of 2017. We will be updating this report on the daily basis as and when the official Box Office Collection of the released movies are available. So, this report is a one-stop solution for you to get the opening day, opening weekend, opening week and lifetime Box Office collection all Bollywood movies in 2017. Aditya Roy Kapur and Shraddha Kapoor starrer ‘OK Jaanu’ was the first release of 2017. The movie managed to earn only 23 crores thus become the first flop of 2017. On 25 Jan 2017. 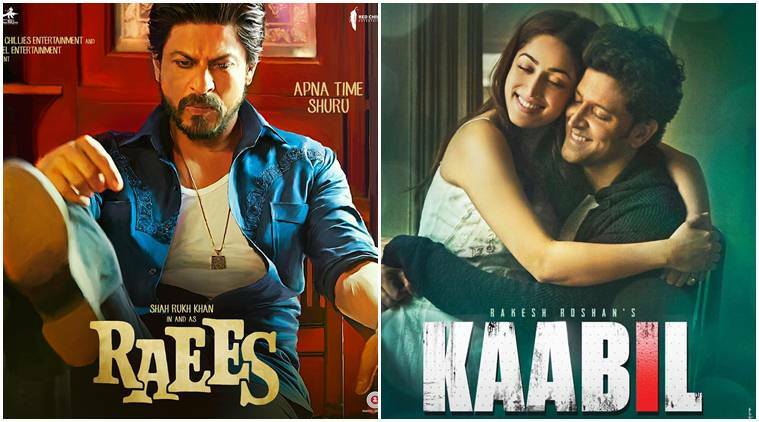 Shah Rukh Khan’s Raees and Hrithik Roshan’s Kaabil clashed at the Box Office. While Raees has earned around 138 crores, Kaabil managed to earn 105 crores. Both movies were declared hit at the domestic Box Office. Commando 2 released on 3rd March 2017 failed to make any impact and managed to earn only 26 crores in its lifetime. 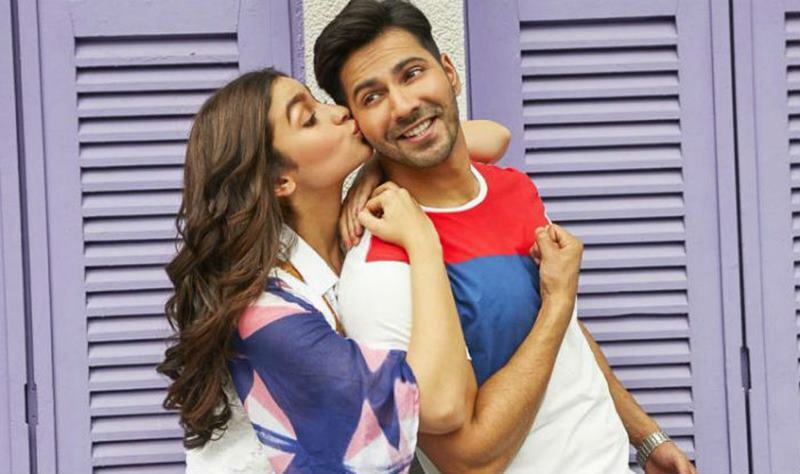 Varun Dhawan and Alia Bhatt starrer Badrinath Ki Dulhania emerged as the biggest hit of 2017. Made on a budget of around 45 crores, the movie earned 116 crores. The last release of the month, Taapsee Pannu’s Naam Shabana had s decent run at the box office as it manages to earn 40 crores. Four small budget movies were released on 7 April 2017 and as expected all of them bombed on the very first day. Vidya Balan’s Begum Jaan, Sonakshi Sinha Noor failed terribly. With the release of Bahubali 2, the storm arrived at the box office on 28 April 2017. The movie shattered all previous records earning 129 crores in just 3 days. The first week of May had no release thanks to Bahubali fever. Sarkar 3 and Meri Pyaari Bindu released on 12 May 2017 failed to make an impact and earned less than 10 crores. Hindi Medium emerged as the first surprise hit of 2017 earning 70 crores. 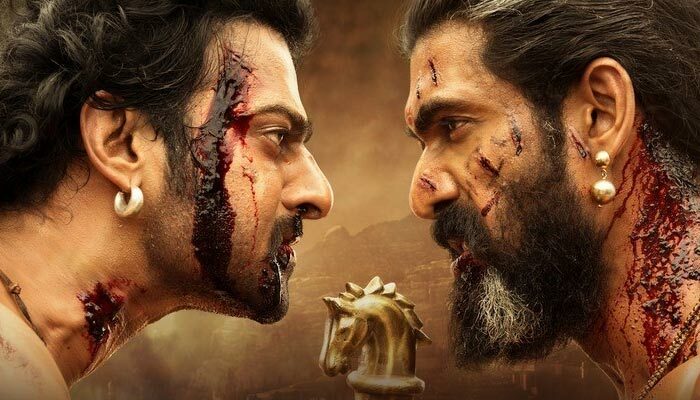 Bahubali 2 crossed 500 crores mark. Half Girlfriend was below par with the lifetime collection of 60.5 crores. Sachin: A Billion Dreams was a hit. June was a terrible month for Bollywood. Raabta, Behen Hogi Teri and Bank Chor were disasters. 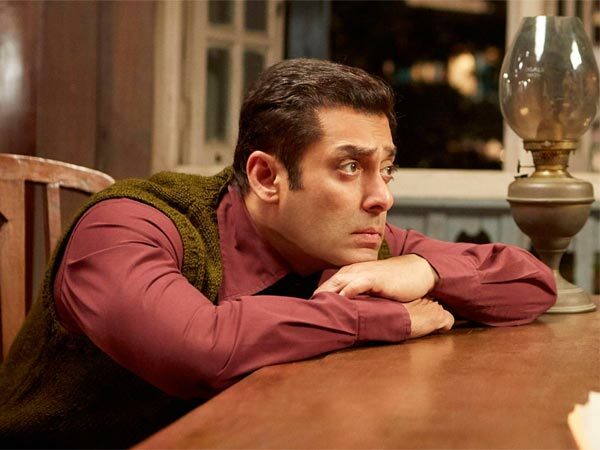 Even Salman Khan’s Eid release Tubelight tanked at the box office and managed to earn just 121 crores in its lifetime. July saw as many as 12 notable Bollywood releases but none of them was able to make an impact at the box office. Low budget film ‘Lipstick Under My Burkha’ was a winner with the lifetime collection of 18 crores. 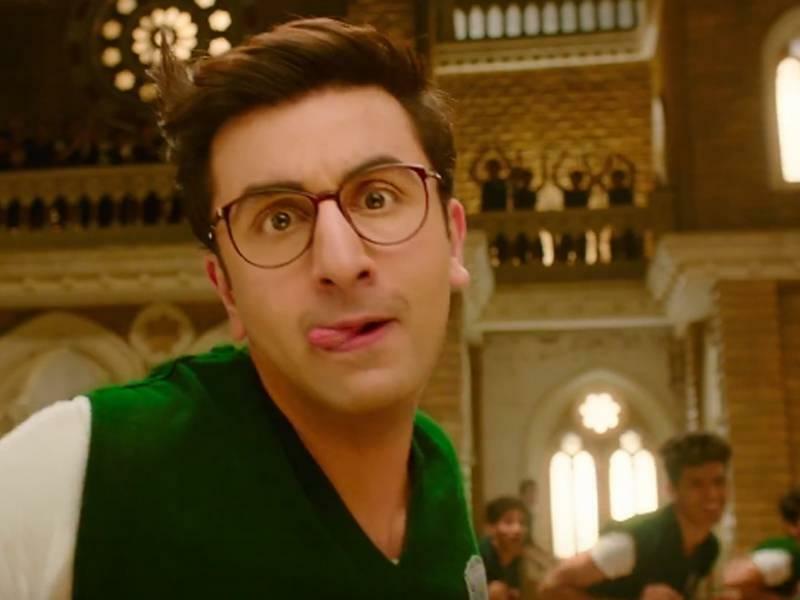 Jagga Jasoos, Munna Michael tanked and the poor run continues for Bollywood. Shah Rukh Khan’s Jab Harry Met Sejal released on 4 Aug 2017 failed to attract the audience and managed to earn just 63 crores in its lifetime. Akshay Kumar’s Toilet: Ek Prem Katha ended the dull period for Bollywood as it crosses 134 crores in its lifetime. Small budget film Bareilly Ki Barfi emerged as big winner with the collection of around 30 crores. Nawazuddin’s Babumoshai Bandookbaaz was average while Sid and Jacqueline starrer ‘A Gentleman’ was a disaster. 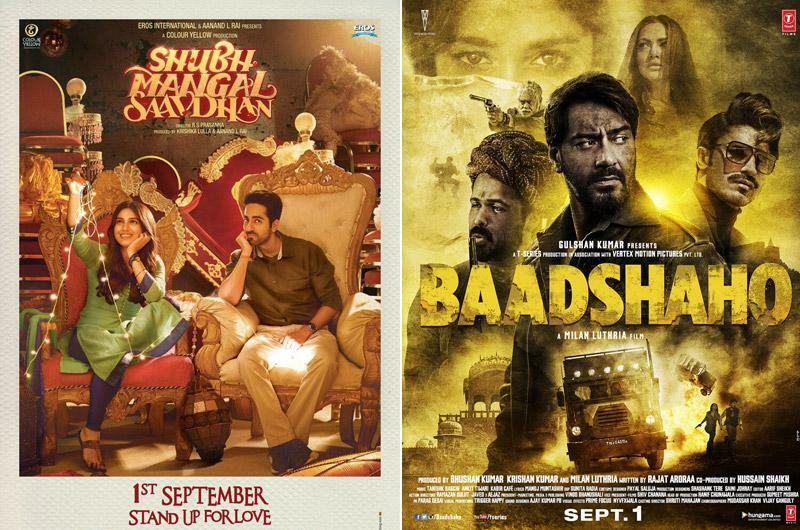 Ajay Devgn’s Baadshaho and Ayushmann-Bhumi starrer Shubh Mangal Sandhaan clashed on 1 Sep 2017. Baadhsho has so far earned around 78 crores while SMS is a super hit with the collection of around 40 crores. All figures and collections mentioned above are in crore. Opening day, Opening Week, Opening Weekend and Lifetime Collections mentioned in the report are domestic Box Office collections only. Overseas Box Office collections are not included in this report. The budget of the movie includes the production, promotion, print and advertising cost. This list is compiled from the data collected from various sources. We try our best to provide the accurate figures however we can’t claim the accuracy and authenticity of the data. 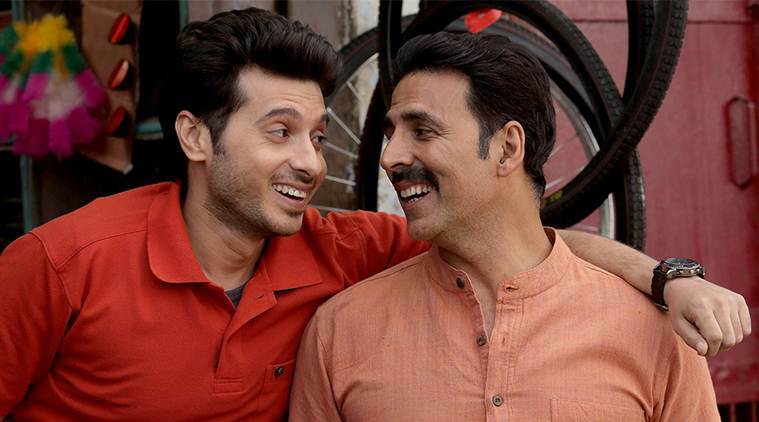 Hit: Movie manages to recover its budget by a good margin. Flop: Movie failed to recover its budget. Disaster: Total Lifetime collection of the movie is less than half of its budget. Super Hit: Total Lifetime collection of the movie is double or more than double of its budget. Blockbuster, ATBB: Movies whose budgets are big and total lifetime collections are higher than twice of their budgets comes under this category. The report is compiled by collecting data from various trusted sources. However, we are not responsible for any disparency in data. 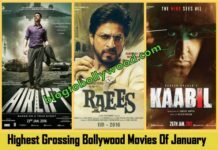 Thanks for reading this report and keep visiting Blog to Bollywood to get all latest updates on Bollywood.